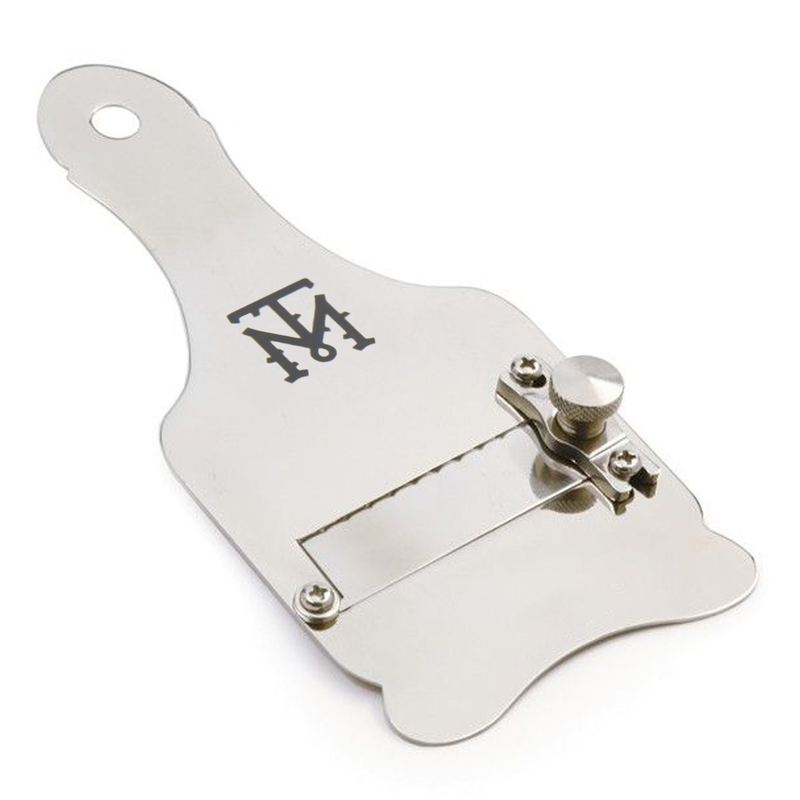 Our Italian-made monogramed adjustable stainless steel truffle slicer produces wafer thin slices to maximise the release of your truffle’s aroma. The professional way to shave truffle directly over grilled steak, seafood, roasted vegetables, mashed potato, pasta, scrambled eggs or to use while making your truffle butter. During truffle slicing down time, your shaver is great for slicing hard cheeses, other small vegetables such as radish, zucchini, and even ginger and garlic. No foodie's kitchen is complete without one.